Books about Genesis have been written for some fourty years, and biographies about most of the individual band members have been around for almost as long. Autobiographies from the Genesis camp are comparatively recent. Mike Rutherford's book, The Living Years, was the first in 2014. Phil Collins followed suit with Not Dead Yet in 2016. 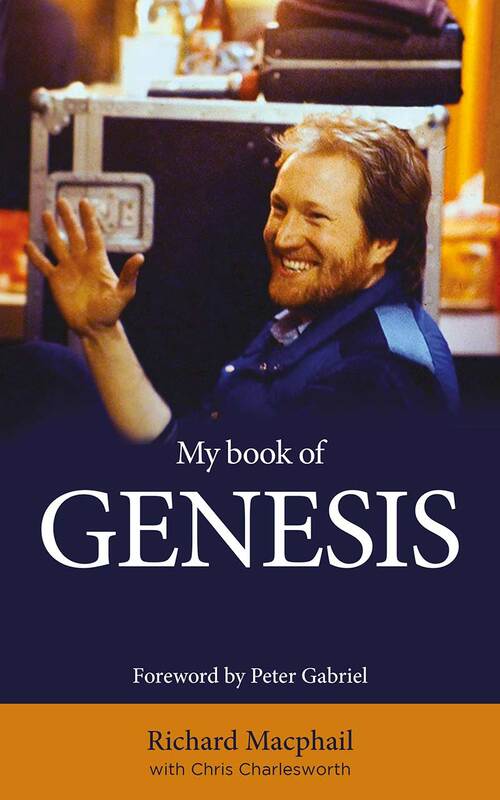 Now we have a new book that focuses on the early years of the band: My Book Of Genesis was written by (and about) Richard Macphail, who was one of the most important people from the Genesis “family” in those years. Though he has never been involved in the music of Genesis as a musician or a co-writer, he was decisive in keeping the band together and on course during Genesis' beginnings and their difficult and rocky changes. Genesis fans know much of this already, not least from the interviews the German Genesis Fanclub it made with Richard (1994) or from his participation in fanclub events in Germany (2005) or Italy (2007). 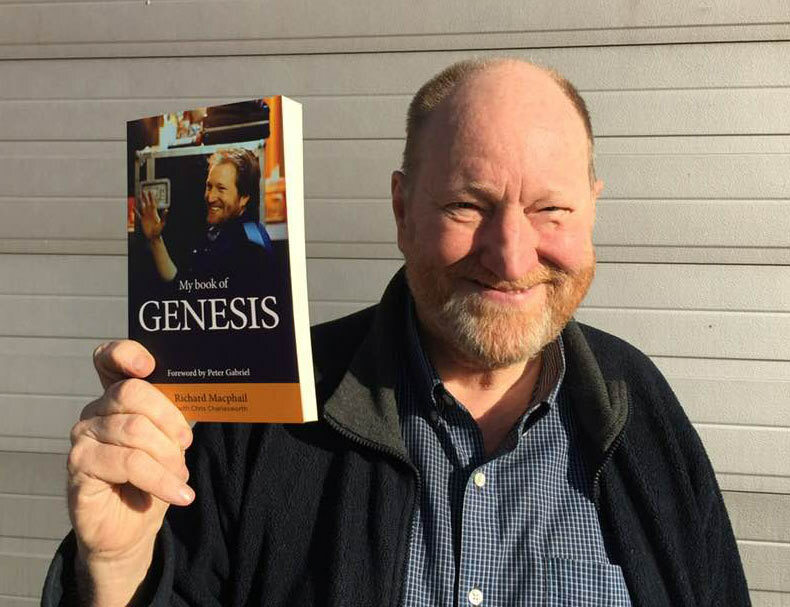 Now we get this book in which Richard talks at length about his time with Genesis, so let us see whether it contains new things we have not heard from him. The first surprise is the cover. We know Richard from photos that show him either as a long-haired youth or the way he looks today. The photo on the cover is from the time when Richard toured with Peter Gabriel in 1977/78, with his hair fashionably short. Please continue this way. In the preface Peter Gabriel outlines the early years of Genesis and Richard's role in and for the group. “I am happy that his story is now being told”, he concludes. We agree and look forward to Richard's story. Before Richard really begins, though, he tells the story of how the book came about and thanks the people who helped him doing it. He has a co-author in Chris Charlesworth, who is an author in his own right and music journalist (for Melody Maker amongst others). Richard writes that some other people have influenced the content, not least Maggie Cole, his wife. Finally he stresses that, though he has honestly endeavoured to tell everything just like he remembers it, it may possibly not have happened exactly like that … It has been a long time, he apologizes. Richard talks about his family, particularly his father. We also hear about his Richard's childhood and his school career before he began to attend Charterhouse. It is very interesting and goes far beyond what he knew about Richard. This chapter tells how Richard began to attend Charterhouse, his first contact with pop musical in general and other music-loving students like Rivers Job and Anthony Phillips. There are a few new details from this exciting period. Richard describes daily life at Charterhouse School, and how various students from his year formed Anon and The Garden Wall, the bands that would later become Genesis. Though we know some of the stories about the legendary end of year concerts or young Peter Gabriel, Richard's details help complete the well-known picture wonderfully. This chapter covers a largely unknown matter, Richard's time after he left Charterhouse at his parents' demand because they thought his school performance would improve separated from his musical friends. Apparently it works though Richard's parents soon realize their son is not born to become a doctor or a lawyer – and so we wonder what this lad is going to be. After Richard had left school and worked briefly as a courier he spends half a year in Israel in a Kibbutz in 1968. His parents hope this stint will provide their son with some idea as to what to do with his life. In the meantime, his friends back in England release the first two Genesis singles and work on their debut album. A couple of encounters with drugs in Israel later Richard returns to England and earns his living as a tailor for leather bags and coats. Thanks to his correspondence with Ant he is still in contact with Genesis. His interest in rock'n'roll continues unabated. He joins them and accompanies the band in the difficult time after their debut album. 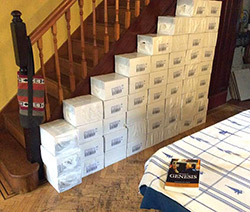 The chapter mainly covers the months where the all stayed together in the Macphail family's cottage, a period that would turn out a pivotal experience for Genesis on their way from that post-Charterhouse band to professional musicians. Richard talks about the time after the cottage period. A deal with Charisma Records gives them security and paves the way to their next album, Trespass. Everything goes according to plan until Anthony has to quit the band. The search for a new guitarist and a new (better) drummer brings Phil and Steve into the band. We have already heard a lot about this period, but Richard offers a plethora of details. It is as if the fog, through which we used to see the history of Genesis but dimly, has lifted so that we can see it all in the clear sunshine. Genesis now have the classic five-piece line-up for the 70s. Countless live gigs in England, most of them in the Greater London area, determine the lives of the band as well as Richard. Genesis slowly develop into what people now consider “Gabriel-era Genesis”. They buy a mellotron, Peter tells outlandish stories between the songs at live shows, Nursery Cryme is recorded, and the fan basis grows slowly but steadily, even on the continent. We have reached 1972. Genesis record Foxtrot and tour Italy twice, once before and once after the album sessions. For the first time, they play for an audience of several thousand ecstatic fans. It is the beginning of a success story. Everything becomes bigger and more professional. Richard's role develops from general purpose roadie to the band's tour manager. Genesis have to go own without Richard, but he always felt the band would make it. They were on the right way and had found a good new manager in Tony Smith. Richard can now shape his life the way he wants to; the chapter tells the story of it. A year after his departure he helps out again in the road crew of Genesis' North American tour where he does the light show for the first couple of concerts. He spends a few months in the U.S. and Canada after that and leads a varied and interesting life. 12. Why did Peter leave Genesis? Back in England Genesis are working on their next studio album, The Lamb Lies Down On Broadway. 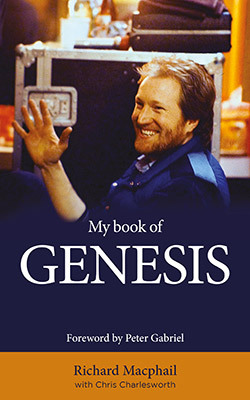 Richard builds a big arc in his narration from the first impressions he had when he visited the band while they were recording in Wales to the strained relationship between Peter and the rest of the band to Peter's decision to leave the band after the Lamb tour to the re-launch of Genesis with Phil as the singer … to Richard joining them again as the band's tour manager at the European leg of their A Trick Of The Tail tour. Richard has little time to continue his life beyond music business. 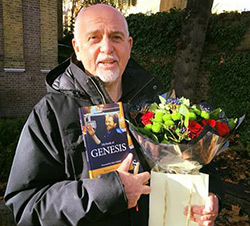 After a break of almost a year, Peter Gabriel has released his first solo album and wants to have Richard as the tour manager for his upcoming tour. This does not pose a problem for Richard; after all, he has been doing this for many years and he knows most people. After the tour Richard continues to work for Peter as his personal manager while Gabriel writes his second solo album. This is about life on tour with Peter Gabriel in 1977 and the worst problems from Richard's point of view. The story of how Peter and parts of the band were arrested by Swiss police in St. Gallen is well-known, but Richard adds a number of new details. Some of the mishaps from the tour have never been told before. It is probably hardly known that Richard did not only accompany Genesis and Peter Gabriel as a tour manager in the mid and late 70s, but that he also was the tour manager for Brand X (on their first U.S. tour in 1977, sans Phil Collins), Peter Hammill (North America, 1979, and Italy, 1980) as well as Bill Bruford (France and Germany, no year mentioned). Richard talks about two other managing jobs, a brief intermezzo with Van Morrison and as a tour manager for Leonard Cohen's European tour in 1979. Towards the end of his active time in the music business Richard tries his hand at singing again (just like, many years ago, in Anon). The band is called MC²; the play a number of live shows and record some material in the studio, though they have obviously not released an album. He then works as a cabbie and motorbike courier in London and meets his wife Maggie. Richard sprinkles in some humorous details here (and everywhere else in the book). Towards the end of the book Richard looks back across the thirty-odd later years of his life. The first part covers his career from the early 80s up to his retirement. He pioneered and later became a renowned expert on energy efficiency consultantcy in buildings. In a second part he returns to the topic of Genesis. He talks about the 1982 Genesis reunion concert and Peter Gabriel's love affairs (it turns out that these things are not unrelated). Finally Richard tells us what became of his parents and siblings, what being married to a successful artist is like, and what he does in his retirement. At this point every reader is bound to regret that they have reached the end of the book. Luckily, Richard has a little treat in the final chapter. Steve and Richard talk about Genesis. It is mainly Steve who talks about the early years of Genesis, the situation inside the band and about his leaving Genesis. Their conversation offers a number of new aspects about the band. An index of names and general terms enriches the book. 14 of 234 pages contain photos. Some of them are familiar, but most of them have not been published before; they show snapshots that illustrate almost all chapters of the book. 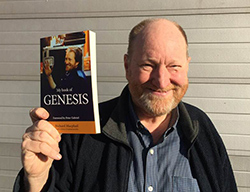 The book is easy to read; it tells the story of early Genesis as well as the life of Richard Macphail in an entertaining, exciting and frequently humorous way. The band members are also quoted here and there. The book offers an interesting glimpse at Richard's thoughts back then and today as well as some risqué information about his sexual life and his views on drugs at the time. It does not overturn the picture we have of Genesis and Richard, but it does make it much clearer. What does it matter if Richard's chronology concerning the years 1977 to 1980 is a bit confused? With all the tours he has worked on it could happen to anyone. If you thought you knew everything about Genesis or that the memoirs of a former "roadie" were boring this book will teach you. I have devoured this book and had moist eyes at Richard's closing words. I would have loved this book to have had twice its volume. I thoroughly enjoyed this tour of Richard's life both with and without Genesis. Thank you. My Book Of Genesis is available online here.